Health Junkie Mama: Fall treats in MODERATION.. 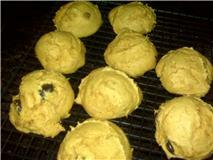 I'm not saying these PUMPKIN cookies are healthy, but they are yummy! !